The ‘blazer and jeans’ look is as common today as it ever has been, championed by retailers and social media accounts of all sorts. Most commonly, you’ll see narrow black blazers paired with narrow black denim or torn jeans, or you’ll find true dad-wear diehards wearing stonewashed Levi’s with too-big sport coats. On the other side of the spectrum are Styleforum’s SW&D posters, who have long been sharing less rigid and rule-bound takes on the same combination. However, if you fall more on the Classic Menswear side of things, don’t lose heart. There is certainly – perhaps more so now than ever – a segment of the denim market in which you can find some very versatile jeans for a tailored wardrobe. If that sounds like you, here are several considerations you’ll want to keep in mind when you’re shopping for denim, along with some tips from Styleforum members to send you on your way. First and foremost: jeans are not trousers. The key to wearing them with tailored clothing is understanding that they don’t need to be forced into a role as stand-ins for trousers, but that they offer new and different styling possibilities for your wardrobe. If you think that jeans are too casual to be worn with tailored clothing, then you’ll likely be happier if you stick with trousers than you would be trying to force denim into your wardrobe. Before you consider the hem width or color of your jeans, make sure that you’re keeping an eye on the rise. Are you planning to tuck in your shirt? If so, you’ll want to stay away from low-rise jeans, which will result in untucked shirts and unsightly bulges at the crotch and belt line. If your tastes tend toward the classic, you’ll probably want to look for a ‘medium rise,’ as most men’s jeans won’t be marked as a ‘high rise’ (if you’re looking for explicitly high-rise denim, your best bet is to search Western and Cowboy supply stores for brands such as Lee and Wrangler). This has the added benefit of making your jeans resemble trousers more closely in silhouette, which means that if you’re sticking with your classic clothing, it will be easier to work denim into your wardrobe. Do you plan to wear your jeans with espadrilles and camp collar shirts? With loafers and a polo? With chunky, English footwear and a sport coat? This will help you do decide on the inseam length and hem width that you prefer. I suggest not going wider than 8-8.5″, as denim has its own characteristics and quickly starts to look sloppy when overly wide. For example, you’re looking for a pair of jeans to wear in the summertime, consider a cream fabric hemmed to no break, as these will pair well with loafers. If you plan to wear them with chukkas in the fall and winter seasons, a longer inseam and some tasteful stacking will look nice. Similarly, too-narrow jeans may look at home in a streetwear context, but be out of place in a more traditional getup. Texture is as important in denim as it is when choosing trousers. Wearing thin, uninteresting denim that doesn’t stand out won’t necessarily elevate your look – however, pronounced slubbiness or neppiness may not be what you want either. The latter fabrics can be difficult to dissociate from their rugged, workcloth origins, and don’t necessarily pair well with tailored clothing, while the former can read as bland and unconsidered. There’s no specific ‘best’ denim for wearing with tailored clothing, but I prefer to err on the side of textured. This limits the chances that you’ll look like a boring office drone. My personal opinion is that very dark jeans look silly with sport coats and a tucked-in shirt, as they go too far in aping the look of trousers and instead ignore the characteristics of denim. Jeans are not a formal garment, even in this informal world, and that’s not changed by pairing them with more formal clothing. A highly-textured denim can alleviate this effect somewhat. Obviously, you may choose to go the raw route, and wear your jeans until they’re distressed to your tastes. 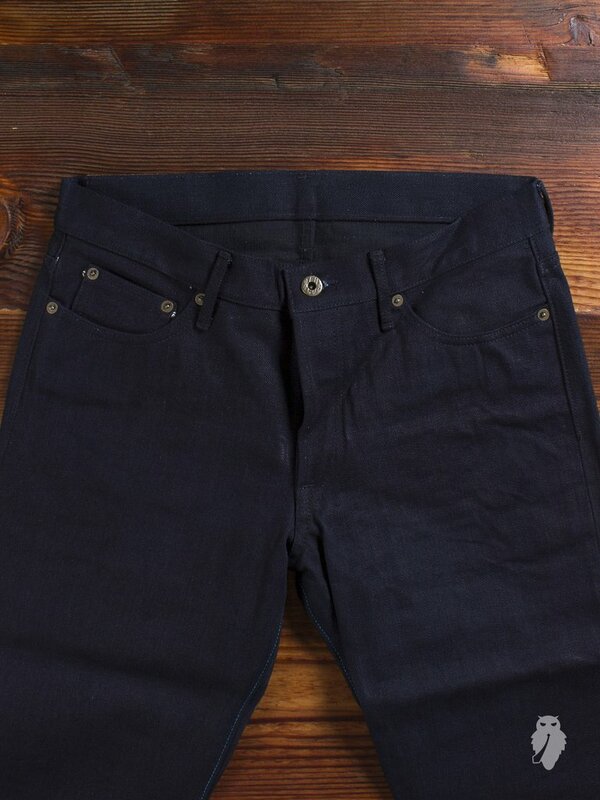 Otherwise I’d suggest looking for a light to medium-dark blue, depending on the look you’re after. Faded indigo is a lovely color, and works very nicely with tailored jackets in a way that navy trousers can’t. 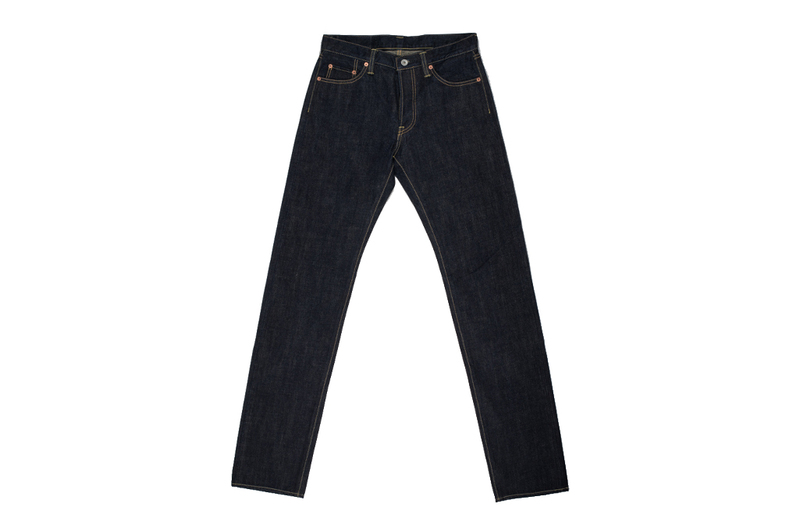 There are also more and more makers offering tasteful washes, should you prefer your jeans pre-washed. There’s no right answer here. Generally, I recommend avoiding thick, heavy cuffs – a single cuff or micro-cuff can look nice, but this depends greatly on the width of the hem and the shoe you’re wearing. Here are some examples that I think look good, followed by others that I think miss the mark. Ultimately, the choice is up to you. Don’t be afraid to hem or taper your jeans, the way you would alter any other garment. They’re still an off-the-rack garment, so the chances that anything you find will fit you or your tastes perfectly are as slim as they are in any other case. 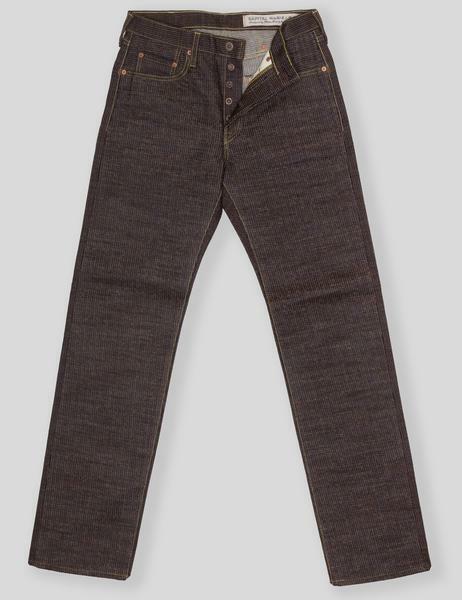 For example, Levi’s had so many customers request that the legs of their 501 jeans be tapered that they introduced a new fit, the 501 CT. Keep that in mind if you’re looking through thrift stores for the perfect, already-broken-in wash. However, don’t get too precious – remember, jeans aren’t trousers, and part of what makes denim pleasant is its innately unkempt, casual feel. 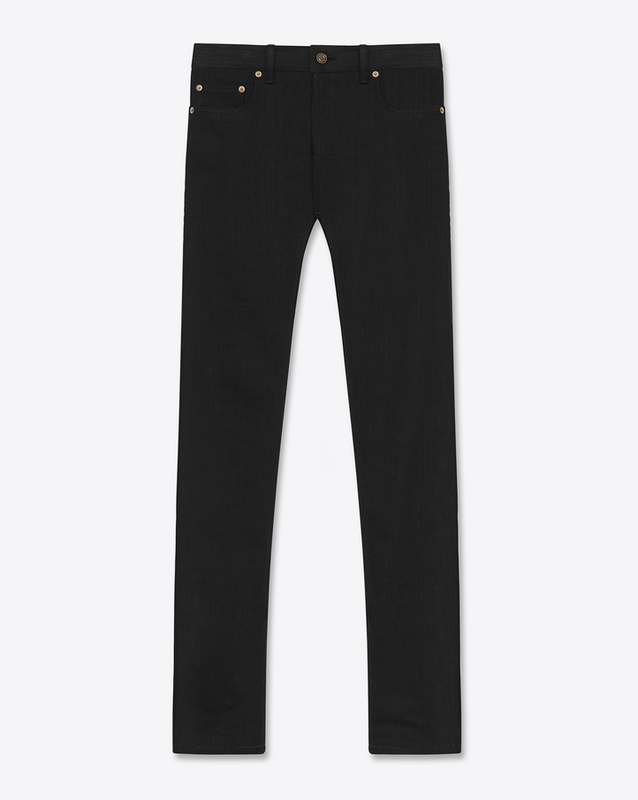 The following are brands that offer denim in cuts amenable to tailoring or to a more classic wardrobe. Keep in mind that there are many, many others – a cruise through most of the Italian RTW brands on Yoox will net endless results. Levi’s offers numerous budget options, and would be my choice if you’re looking to keep costs down, but if you have the cash to spare there are far nicer options available. Lots of people have already figured out what works for them. Like other members, I happen to think that dark denim worn with a dark, office-ready blazer is a strange look. Here are some selected tips and impressions. For more, check out the Sport Coats and Jeans thread. I’d also direct you to our contributor Mitch, who nails the blazer-and-jeans look.